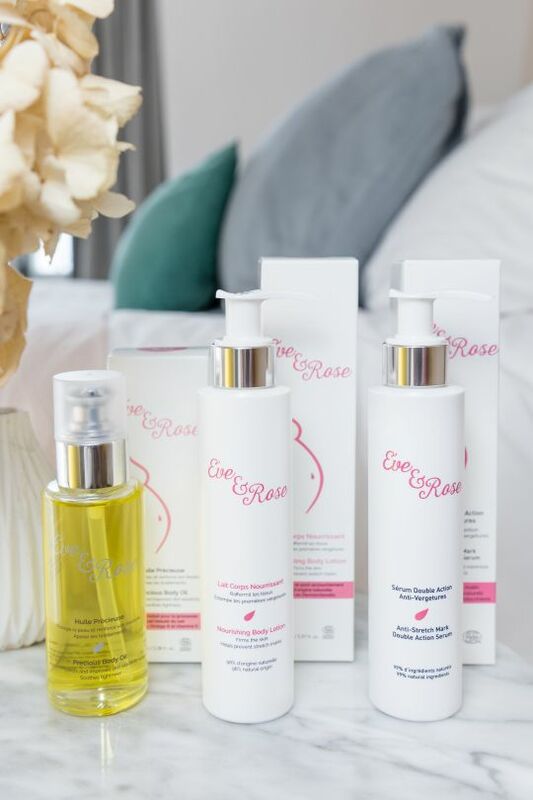 Eve & Rose is a luxurious, organic skincare range especially designed for pregnant women and new mothers. 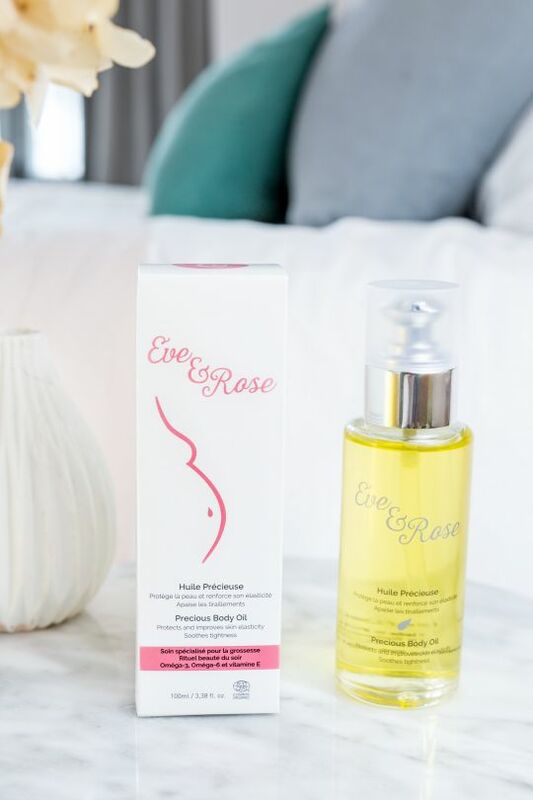 With an indulgent, completely safe collection of oils, serums and lotions, these products feel as good as they look, and busy mama bodies will thank you for applying them! 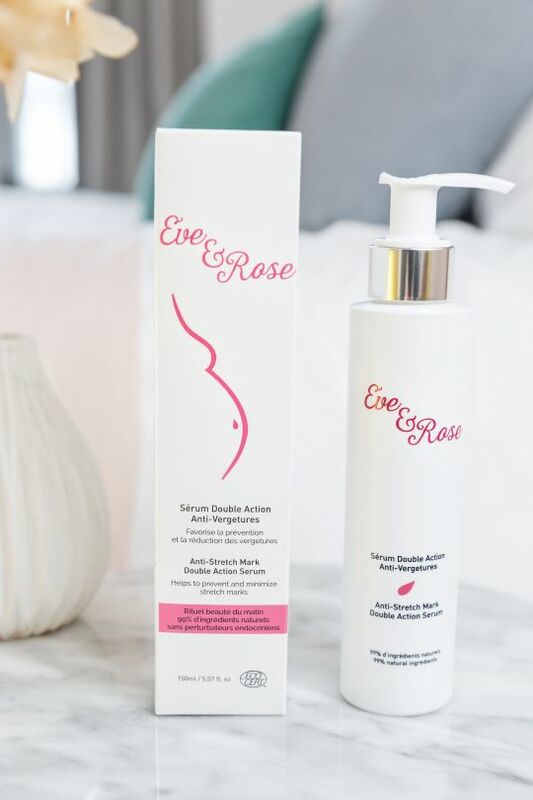 During her first pregnancy founder Bérengère became aware of the negative influences of synthetic ingredients in her beauty products. When she couldn’t find skincare that met her expectations, she formed a partnership with a French laboratory to create unique formulas, based on natural active ingredients, which meet her ultra high standards of efficiency, fragrance and texture. 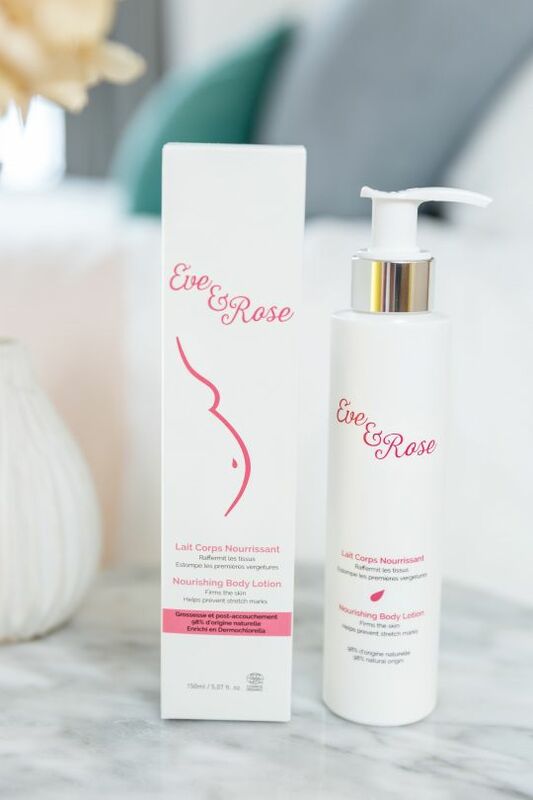 All Eve & Rose products are free from alcohol, essential oils, synthetic fragances, artificial colors, parabens, PEGs and phthalates. Instead they contain Aloe vera, argan oil, shea, macadamia and tocepherol (natural vitamin E). Each product is certified organic via Ecocert, the largest independent certification board in Europe and the United States. Eve & Rose is a social business, donating 50% of their profit to charities, and looking to support other social enterprises where possible (e.g. online sales are hand-wrapped by an organisation supporting disabled workers in France). Simply wonderful all round!